A town of barely more than 2,000 people in extreme southwest Kansas has pulled off a stunning feat: Their high school placed in the top 50 in high schools across North America in an online contest. The reward is a $25,000 check from State Farm Insurance. Elkhart High School garnered thousands of safe-driver commitments (votes) through the Celebrate My Drive ® program created by State Farm. One hundred schools were eligible to receive a grant ranging from $25,000 to $100,000. More than 3,500 schools participated in the United States and Canada. Elkhart competed in the small schools category (student enrollments below 750). Car crashes are the No. 1 killer of teens, and a teen’s first year on the road is the most dangerous. Using research as a guide, State Farm i s approaching teen driver safety, a winnable public health battle, by engaging teens while they learn to drive in a supportive and positive way. 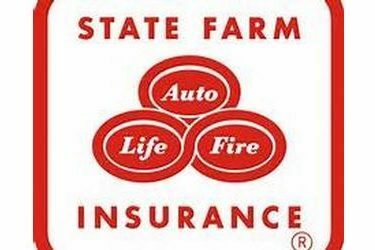 To stimulate more safe driving conversations, State Farm specified that 10 percent of these funds be used to support ongoing teen driver safety efforts. The need for more awareness around auto safety is supported in the report on distracted driving State Farm released this month. The July 2013 survey of nearly 1,000 motorists shines a light on a growing safety concern: people accessing the Internet while driving. Five years of data show a significant increase in the use of mobile web services while driving. State Farm believes Celebrate My Drive is an effective tool to amplify the conversation around the importance of education related to teen driver safety. More than 6 million safe driving commitments were made in support of more than 3,500 schools throughout the US and Canada. State Farm agents held more than 800 teen driving safety events between Oct. 18 and Oct. 26. These community celebrations focused on safe driving habits, emphasizing the benefits of safe choices as teens celebrate the freedom that comes with getting a driver’s license.